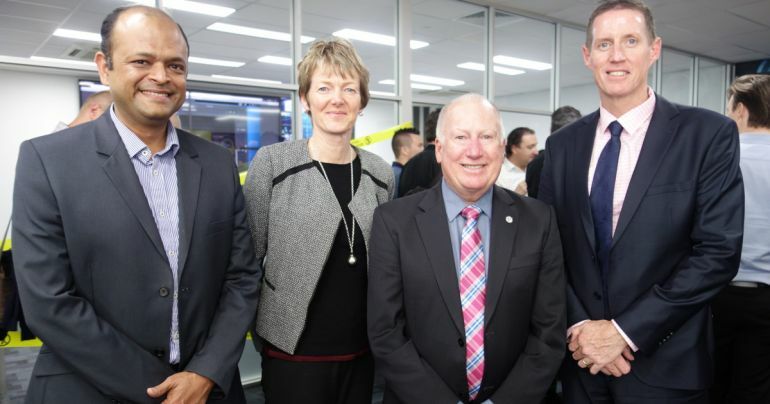 In a national first, a collaborative training solution to the cyber security skills shortage has been launched, with a new Training Security Operations Centre (TSOC) and tech-collab space, at Canberra Institute of Technology (CIT). The $1.1million project includes a virtual classroom with a cloud-based security operations centre simulating real cyber threats, giving students the chance to work through real scenarios to gain nationally-accredited qualifications. Industry has been critical since the inception of the TSOC to ensure the right skills are being taught to fuel the demand in this fast-growing sector. Tony Marceddo of Vault Cloud and Co-Chair of AustCyber ACT Node Advisory Board said, "CIT is leading the way with implementing education and training pathways to help address the critical issue of growing and upskilling our cyber security workforce." Owen Pierce of the Industry Growth Centre AustCyber says CIT is providing leadership in cyber security training and workforce development which is being recognised by the number of students enrolled and seeking to enrol in CIT's cyber security programs. "CIT has demonstrated their willingness to work with broad section of TAFEs nationally to ensure that they are collectively training the future-ready cyber security workforce that Australian employers need. AustCyber is a proud supporter of CIT and is thrilled to be involved in the development of their Training Security Operations Centre," Mr Pierce said. CIT has seen 168 enrolments in cyber security courses since March 2018. Students have travelled to Singapore on an outbound VET mobility program and some are also involved in virtual mentoring with industry-based cyber experts. The TSOC has been primarily funded by AustCyber as part of its Projects Fund, with additional funding provided by the ACT Government. The TSOC is a collaboration between CIT, Nova Systems, Fifth Domain and ANU. Image: Head of CIT Centre for Cyber Security and Games Dr Abu Barkat, CIT Chief Executive Officer Leanne Cover, Mick Gentleman MLA, and CIT Board Chair Craig Sloan at the Training Security Operations Centre launch event.